Norwegian has received seven nominations in the highly acclaimed Passenger Choice Awards 2014. 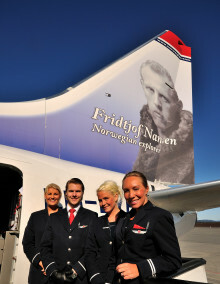 Norwegian is represented in more than half of the categories, including “Best in Region: Europe” and “Best Overall Passenger Experience”. The Passenger Choice Awards has become one of the industry’s most significant award programmes for the airline industry. Norwegian carried more than 2.3 million passengers in June 2014, an increase of 21 percent compared to the same month last year. The load factor was 82.5 percent. Norwegian carried more than 2.1 million passengers in May 2014, an increase of 12 percent compared to the same month last year. The load factor was 77 percent. The strike threats from labor union Parat affected the company’s revenues this month, as many customers in Norway and Denmark refrained from booking flights due to fear of strike. Norwegian, along with representatives from Norwegian and Spanish authorities, today marked the opening of its newest base in Spain. It is strategically important for Norwegian to have a base in the Spanish capital in light of its presence in the Spanish market, as well as in terms of Norwegian’s international expansion. Norwegian carried almost two million passengers in April 2014, an increase of 17 percent compared to the same month last year. The load factor was 79.8 percent. Norwegian today reported its first quarter results for 2014. The pre-tax profit (EBT) was -813 MNOK. Despite a seasonally weak quarter, the passenger growth is strong and the load factor high. The quarterly results are affected by the additional costs associated with wet-leasing replacement aircraft on long-haul routes, as well as a weaker Norwegian currency (NOK). 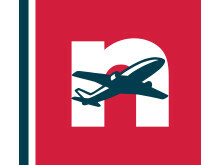 Norwegian (NAS) today reported its fourth quarter and full year results for 2013. The company reports a pre-tax profit (EBT) of 437 MNOK. The company’s total fourth quarter result was -283 MNOK. The year has been characterized by strong passenger growth and international expansion, and additional costs related to the start-up of the long-haul operation. Norwegian (NAS) carried more than 1.6 million passengers in December. The last month of the year was characterised by solid passenger- and capacity growth and a higher load factor. 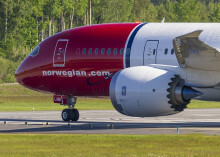 Norwegian launches yet another Dreamliner route from New York’s JFK airport. The beautiful city of Bergen on the west coast of Norway is a new destination from New York next summer. Bergen is known as «The Gateway to the Fjords of Norway». 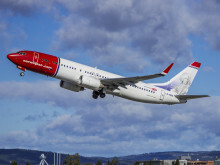 Norwegian continues to expand in Europe and today, the company announced its plans to establish a new base in Barcelona, Spain, in spring 2014. Along with the new base, Norwegian will also launch new routes from Barcelona to Sandefjord Torp, Hamburg, Berlin and Warsaw. 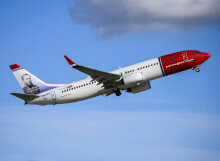 Norwegian has signed a seven year partnership contract with London Gatwick. 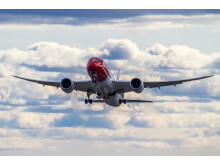 Norwegian is one of the fastest growing airlines at Gatwick and plans to open several new routes here in the future, including long-haul routes. 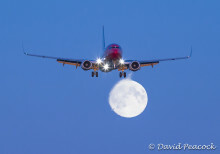 Norwegian’s management and Norwegian Pilot Union (NPU) have reached agreement on a new collective agreement for pilots. This means the flight schedule operate as scheduled. Norwegian reports strong growth in all European markets and a high load factor in its third quarter results. The London Gatwick base shows the strongest passenger growth, followed by Oslo Airport and Stockholm Arlanda. The company reports a third quarter pre-tax profit of 604 MNOK, a result significantly affected by the costs associated with wet-leasing replacement aircraft on long-haul routes. 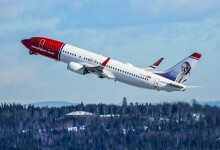 Norwegian was awarded Best Inflight Connectivity and Communications for its free inflight WiFi at the prestigious Passenger Choice Awards 2013 in Anaheim, California last night. Norwegian takes home the award for second year running.